On June 18th, 1812, the United States of America declared war on Great Britain and looked to conquering Canada as the first military objective of the war. 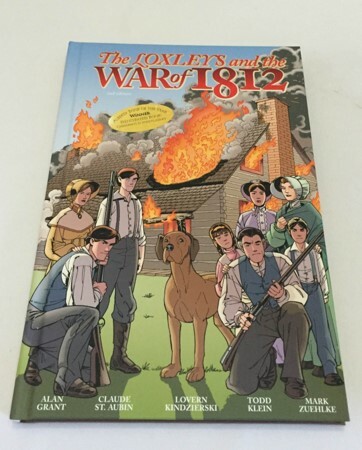 This beautifully created graphic novel introduces the Loxleys, a Canadian family living in the Niagara peninsula, as they’re torn apart by the American invasion, and the subsequent war that raged across both countries as British troops, Canadian militia, and First Nation warriors sought to thwart the expansionist plans of the American government. Our story follows the family as they deal with realities of a war on their doorstep, the adventure, heartbreaks, and victories tied to the conflict.